Updated Wednesday May 9, 2018 by Kent Wannamaker. Dear Cal Ripken Baseball and Babe Ruth Baseball Membership: USA Baseball informed youth organizations, including Babe Ruth League, Inc., that effective immediately and until further notice, the bat identified as the Easton Ghost X YBB18GX10 30/20 2 5/8" (or the "Easton Ghost X 30/20 5/8" at retail) has been decertified by USA Baseball and is no longer an approved bat under the USABat Standard. USABat: Easton Ghost X 30/20 Model Number(s): YBB18GX10 30/20 (D: 2 5/8), LL18GHX 30/20 (D: 2 5/8) Length: 30" (-10) All other certified lengths and drops of the Easton Ghost X USABat remain approved for play If any of these bats are used during competition, it should be considered an illegal and non-compliant bat, and subject to league rules concerning the use of illegal or unapproved bats. Coaches and team administrators are encouraged to check their team's bats and withhold these bats from play. League administrators should share this information with their umpires. 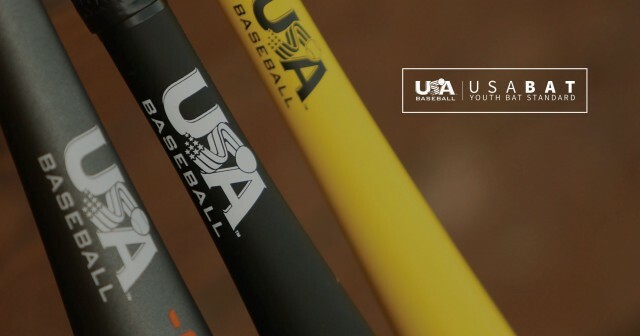 A full list of approved bats can be found at USABat.com. A list of decertified bats can be found at USABat.com/Decertified-Bats. Customer Information: Any questions regarding returns, refunds or warranty claims for the Easton Ghost X 30/20 should be directed to Easton via email at ghostreturn@easton.com or at 1-844-531-7079. We apologize for any inconvenience and thank you all for your attention to this matter. Sincerely, Steven M. Tellefsen President/CEO Babe Ruth League, Inc.